SAN FRANCISCO (CN) – A federal judge on Monday indicated he may order the Trump administration to turn over hotly contested Justice Department documents in multiple lawsuits challenging its decision to end the program that shields young undocumented immigrants from deportation. U.S. District Judge William Alsup also suggested Acting Secretary of the Department of Homeland Security Elaine Duke could be deposed on her decision to end the Deferred Action for Childhood Arrivals program, or DACA. However, Alsup said the plaintiffs wouldn’t get everything they had requested, which encompassed every document and communication Duke “directly or indirectly” considered in making her decision, especially ones also considered by the Justice Department and many of Duke’s subordinates at Homeland Security. Instead, he ordered the administration to give him every document it has on rescinding the Obama-era program so he can decide whether they should be made public. “It puts the judge in an uncomfortable position when the plaintiffs are asking that I require the Department of Justice, as well as the White House, to scour everything received and possessed and possibly invade private materials,” he said. “There needs to be some kind of limiting principle to balance all of these competing interests,” he concluded, suggesting as the limiting principle documents that Duke’s immediate subordinates considered in advising her on her decision. 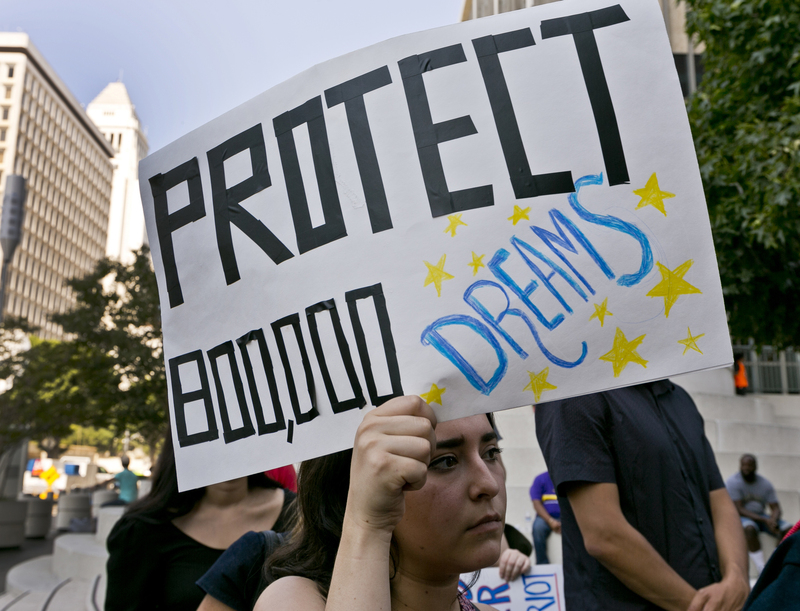 The state of California, the University of California, the city of San Jose and a group of DACA recipients sued President Trump and the Department of Homeland Security in separate lawsuits within days of the administration’s Sept. 5 announcement it would phase out DACA beginning in six months – potentially jeopardizing the future of 800,000 program recipients, nicknamed Dreamers. Dreamers, brought to the United States as undocumented children, must meet certain conditions to stay in the country, by attending school and passing criminal background checks. California is home to more than a quarter of all Dreamers, more than any other state. In the related lawsuits, the plaintiffs called the government’s decision to end the program “arbitrary and capricious,” and said administration officials made no attempt to justify it as a matter of policy, as required by the Administrative Procedure Act. When the administration produced only the documents Duke personally considered in making her decision, the plaintiffs moved for a court order to produce the rest of the documents at Homeland Security and those at the Justice Department. They reasoned they should get them because the decision was purportedly based on a letter from U.S. Attorney General Jeff Sessions deeming DACA illegal, and because it was Sessions who announced the decision to the public. “In our view, the decision-making agency may very well be the Department of Justice,” Jeffrey Davidson, an attorney with Covington & Burling representing the University of California, told Alsup on Monday. Rosenberg also told Alsup that Homeland Security’s decision deserved deference and wasn’t reviewable by a court, a conclusion the judge rejected. In ordering an end to DACA, Trump called on Congress via Twitter to pass a replacement program before he begins winding it down. Also on Monday, Alsup granted a motion by Santa Clara County and Service Employees International Union Local 521 to relate their lawsuit against Trump to the others, bringing the total number of suits over DACA in the Northern District of California to five.